Education and training is crucial for building and developing careers – without learning, there can be no growth, either for individuals, companies or industries as a whole. The Institute of Marine Engineering, Science and Technology (IMarEST) aims to support the professional development of anyone working in the marine and maritime sector, helping them become better, safer and more efficient in their roles. However, there are some challenges associating with developing skills and knowledge, especially when simultaneously dealing with an existing workload. A particularly relevant example is seafarers. Seafarers can sometimes feel pressured to leave their jobs at sea earlier than planned in order to try and move up the career ladder, sometimes leaving the sector altogether. When experience and skill-sets are lost in this way, it poses a real problem for the industry. Additionally, many employers also want to utilise the experience of their sea-going staff in shore-based management positions but are faced with the challenge that many lack the required knowledge. Blended e-learning combines online and traditional face-to-face class activities, thereby granting students access to both the conveniences of remote learning and the social and instructional interactions that may not lend themselves to online delivery. Availability – Downloadable course and training materials mean that content can be accessed anywhere at any time. Personal attention – having a personal tutor boosts learning as it provides a two-way approach to sourcing information. Not only are users able to pull information from the learning platform, but they can also ask questions and query specific areas of the content – such as those relevant to current jobs. Self-paced – busy work and life schedules leave little ability to make time for learning and development. With course notes, lectures and training modules downloadable and easily accessed, this approach allows the user to pull information when they are ready and have time. Globally relevant – in industries such as maritime and oil & gas, companies often operate in multiple locations around the globe. An online platform can ensure that a programme is rolled out effectively across a number of divisions to a number of employees, wherever they may be in the world. Consistent – Delivering a consistent set of modules that have been vetted by HR and meet group standards allows all users to gain the same message and training as colleagues in other parts of the world. 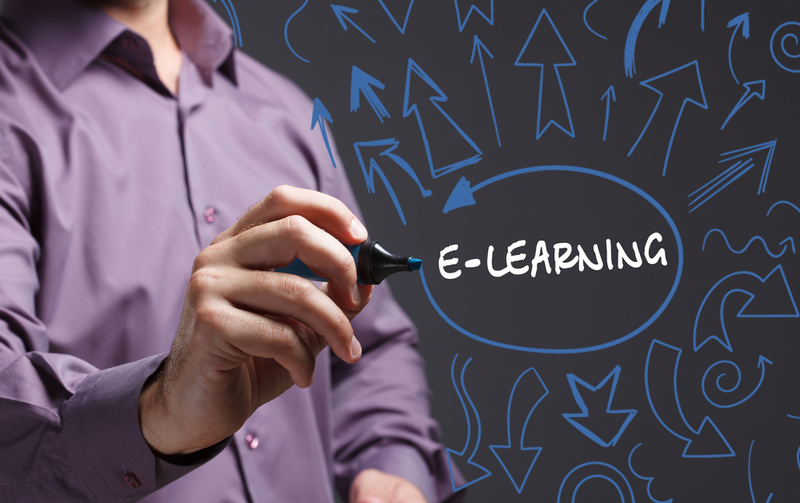 Flexible – e-learning in a modular set-up allows companies to emphasise specific training pieces which can be bolted on to users’ modules depending on job role and location to suit their needs. Blended distance e-learning is easy to update ensuring that companies can change content and keep employees up to date with the latest information. There has never been a more important time to invest in the training and professional development of staff, and the IMarEST has been working had to support companies in delivering and recognising professional excellence.